I​nspiration and Quality Instruction to Fulfill Your Dreams! ​YOUTHSONG STUDENTS TAKE FIRST AND THIRD PLACE IN L.E.A.D. TALENT COMPETITION. ​CONGRATULATIONS TO ALL WHO PARTICIPATED! TRIPLE THREAT THEATER CAMP A GREAT SUCCESS!! YouthSong student Kristina Walz signs contract for National Tour of Rock of Ages in role of Regina! Congrats, Kristina. YouthSong's Matt Ban as Agatha Trunchbull in Matilda in Utah. 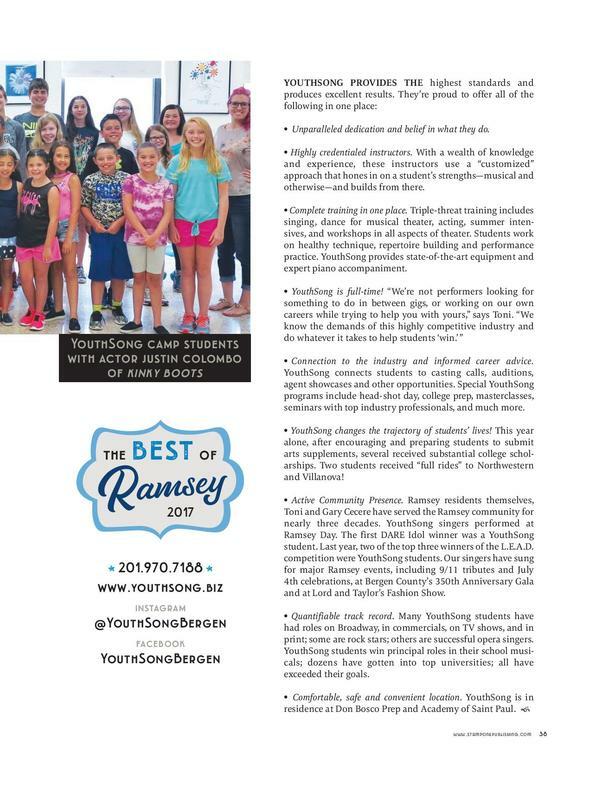 YOUTHSONG SELECTED AS BEST IN RAMSEY!! 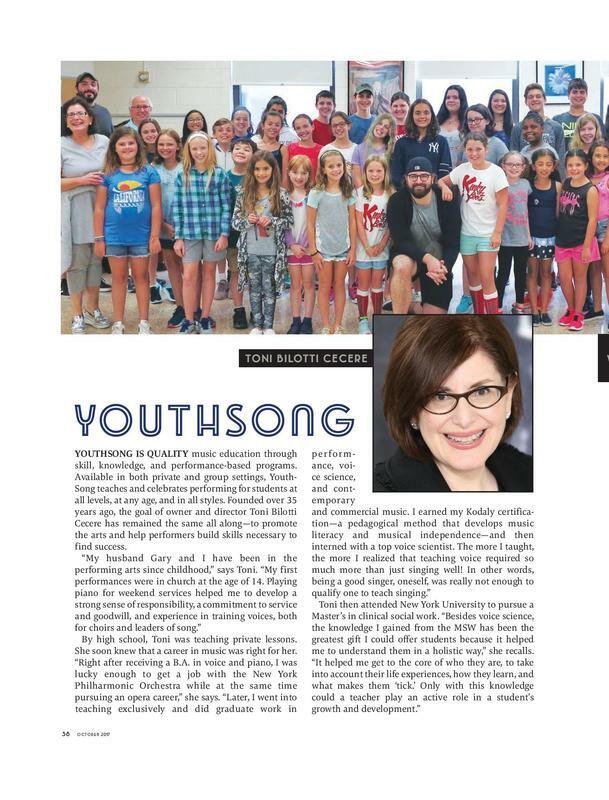 Students of Toni Bilotti Cecere of YouthSong performing at Garden State Plaza.